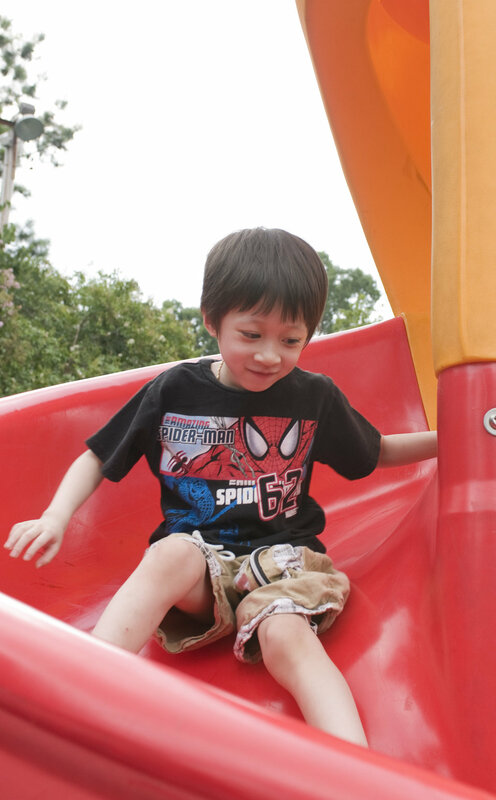 Under the watchful eye of his mother, this young boy was taking a trip down a bright red slide at a neighborhood playground. Note that he was wearing a darkly-colored t-shirt, and denim shorts, which help protect his skin from the sun's harmful rays. He was also wearing a coating of sunscreen on his sun-exposed skin.